· On time. Courteous. Super clean cars. Very prompt. Will definitely use again. · A lovely experience! Driver early, charming! · Our driver was prompt, professional and courteous. He was a good driver and got us to the airport in very good time. An excellent experience overall. · They were great! Very professional and on time. · Excellent service. Very nice driver who even made an extra stop to the cargo area to drop off my pet who was also flying. · A Transporter Limo was wonderful. They were On time, professional and the car was clean. Our flight was changed and they kept in communication with us. I highly recommend them and will use the service again. · Driver was on time, car was in good shape, and trip went perfectly. · They were on time both to and from the airport. The drivers were pleasant. It was an enjoyable experience. · Very nice people and right on time. Our plane was late coming back but they were there waiting for us. Very friendly. Will use again for sure. 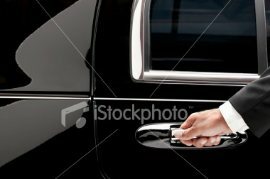 · The vehicles were spotless, the drivers were courteous and they were very flexible when our return flight was delayed 4 hours. Highly recommend. San Jose, CA Follow ALAN D.
7/17/2012 .I bought a Groupon for this business but before I bought it I inquired about whether they had availability on two days the following week for a trip I already had planned. Rami responded to me very quickly and noted that they did in fact have availability. So I bought the Groupon. I scheduled my ride to SFO and my ride back to San Jose. It was all very easy and straightforward. The driver was on time to take me and was waiting for me when we arrived in SFO. I was impressed because they monitored the flight and my flight arrived 1 hour earlier than scheduled and they were waiting. The only thing is the cost. I felt it was totally worth it for the Groupon price because it was slightly cheaper than I could have got by driving myself to SFO and parking for 10 days using a Park & Fly hotel. However, if it was regular price I'm not sure that I would opt for this option....and instead would just drive myself and pay for the parking. However, for purposes of this review...the service was excellent and worth the cost. Benicia, CA Follow Marie h.
San Francisco, CA Follow Gianna G.
5/16/2012 .There is no other transportation company like A Transporter! I use this company all the time and love them!!! If you need a reliable, honest, reasonably priced, on time and friendly company then A Transporter is what you are looking for. Whether I'm going to the airport or a baseball game they are the only company I'll use for my transportation needs.